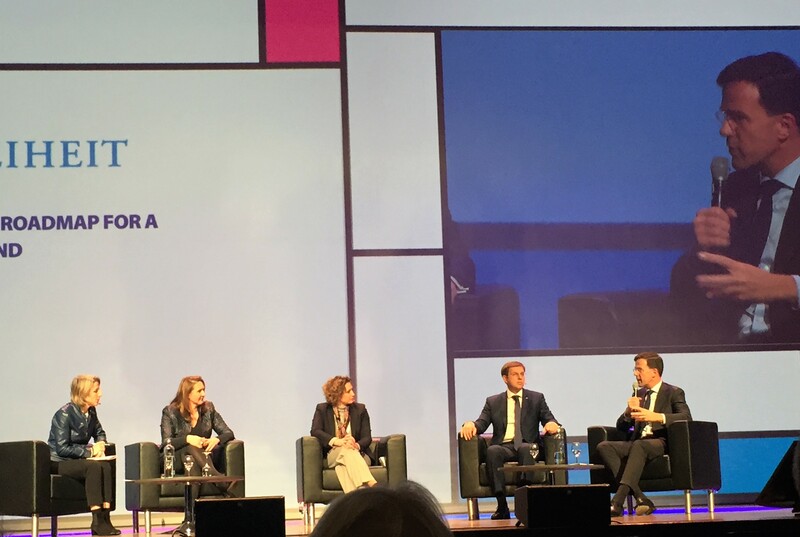 This year the ALDE party met at Madrid for its congress. 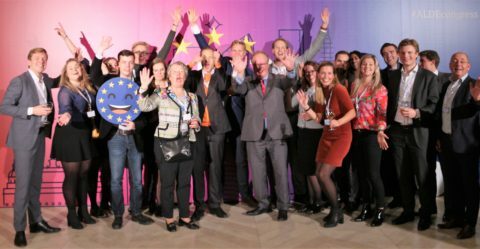 The European Liberal Democratic family consists of more than 60-member parties across the continent and more than 50 members of the European Parliament who are part of the ALDE Group. 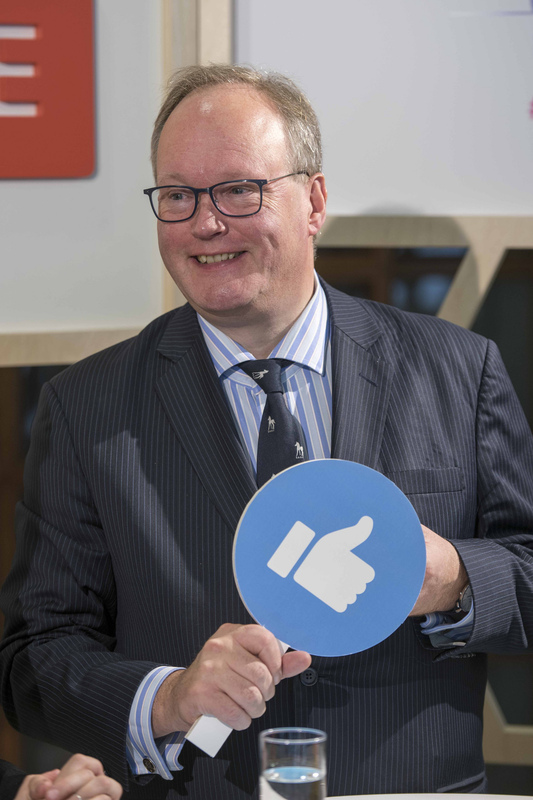 Hans van Baalen MEP (Member of the VVD) has been president of the ALDE Party since 2015. The congress was set in the setting of the 2019 elections. It will be an important year for all Liberals with the coming elections. Another important theme is the Brexit. This will overshadow the planned debate about budget, migrations and what is the future of Europe. Europe still favors a soft Brexit and any realistic idea from the UK is welcome. The Liberal Democrats are very clear, that they want to stay in Europe, but they are not strong enough to be able to change Brexit to Stay. It is important for liberals to work together for the future of a stronger and united Europe. We must keep reminding people of what we have achieved together. But we must also listen to what the people of Europe want. Now we can see two visions of Europe: the vision of populists and nationalists and the vision of those who want to relaunch the European dream. It is important to build bridges even if we don’t agree on everything. The discussion should be focused on the future of trade, investments and innovation. Most liberals are optimistic and hopeful that the liberals can win. Juli Minoves said: “We need to fight beyond Europe. The Liberal struggle will be strong if it goes beyond any border”. 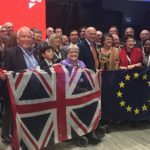 We must show people the proven costs of anti -Eu policy. “Let 2019 be remembered as the year when the EU regained its confidence and began moving forward again”, quote from Micheál Martin (Ireland) as also the following, “Brexit is one of the most destructive decisions taken by a free nation in decades. I want to thank all ALDE member parties for all their support in helping Ireland to diminish the impact of Brexit”. A considerable amount of time was spent on the presentation of the “ALDE Manifesto: The Liberal vision for the future of Europe”. There was a good and healthy debate on the many suggested amendments to the Manifesto. After voting on the sometimes-reedited amendments the ALDE Manifesto was adopted. The parties can use this important document for their campaigns for the European elections in May 2019. Another issue at the congress was sustainable growth. One of the conclusions was that cities around the world need to take real action to achieve sustainable growth. Some statements were given by participants: We should eat less but better meat, as large-scale industrial production hurts the environment, but small scale can enhance biodiversity. Let’s save our blue oceans! Every second breath we take comes from the ocean, we need it to survive, strong message from MEP Meissner, The Liberals must lead the way to a more sustainable, innovative and safe world, MEP Federley (Sweden). Apart from many interesting sessions we were taken to the Museo del Prado for a lovely Congress dinner reception. 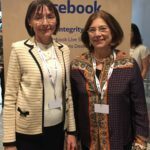 Several new members were elected for the Alde Board. We also made some new contacts and hope to see many ALDE members again. 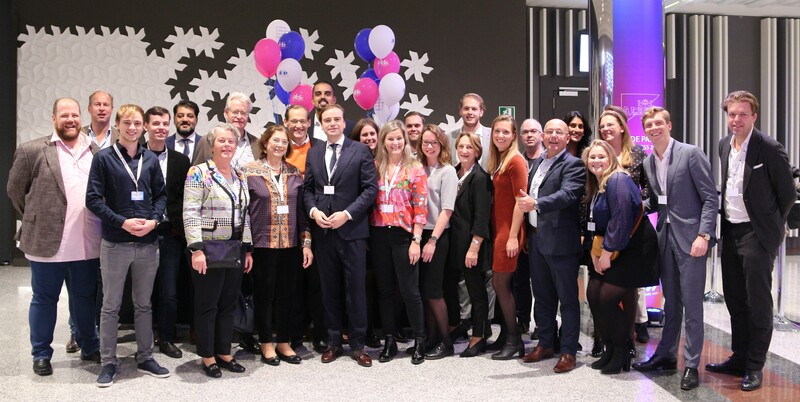 We wish all the MEP’s a successful campaign in 2019! 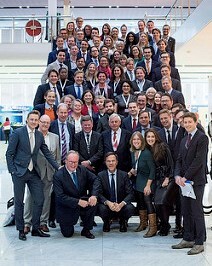 across the continent and more than 50 members of the European Parliament who are part of the ALDE Group. 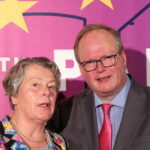 Hans van Baalen MEP (Member of the VVD) has been president of the ALDE Party since 2015 and was re-elected during the congress. 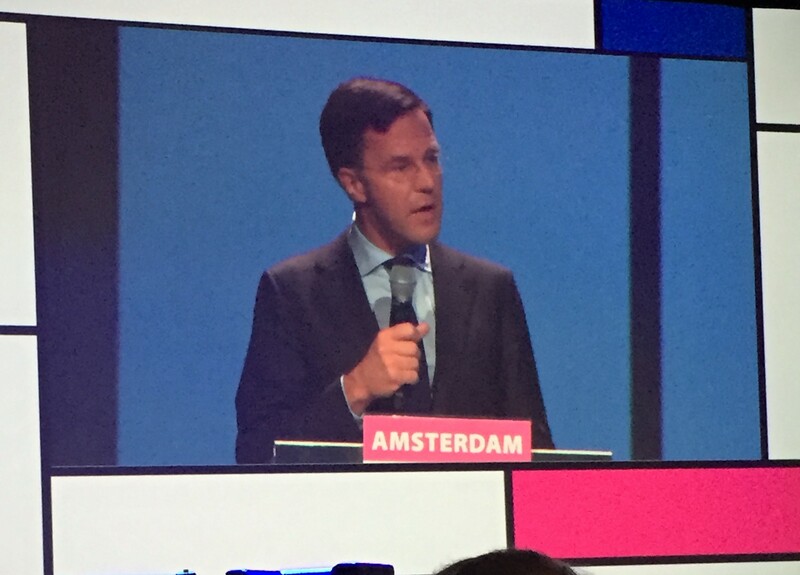 During the afternoon VVD and D66 organized a debate on Fighting Populism. In the discussion one of the elements was that many people have the feeling that politicians do not listen and don’t solve problems. Populists talk about fear, and often walk away from responsibilities but still they get voters all over Europe. It really is a wake-up call for all the parties that democracy is not easy to keep and needs maintenance every day. We as liberals must fix problems. Not try to explain what is wrong but instead give solutions and implement them. One approach is to address emotion, so provide personality and be authentic. So, we must learn to find a way to cope with populism in this instable world. Antonio Roldán, MP from Spain, finds economic populism the most important problem. Also Chair Markus Loening, ALDE party Vice President, took the view that more emotion, not the policy, but the plans are important. The authentic attitude is necessary to affiliate with the problems: why, how and what are the words to use for understanding problems. It is important not to get into the frame of others. For many people the love of their country ultimately ending in patriotism is what we see in many parts of Europe. Instead of blind patriotism one can also ask the question that was asked so many years ago by Martin Luther King: what can you do for your country? and Party President and Guy Verhofstadt, MEP and ALDE group leader. Margrethe Vestager, European Commissioner for Competition, Prime Minister Xavier Bettel, PM Luxembourg. This was followed by a debate on Renewing Democracy in the 21st Century. 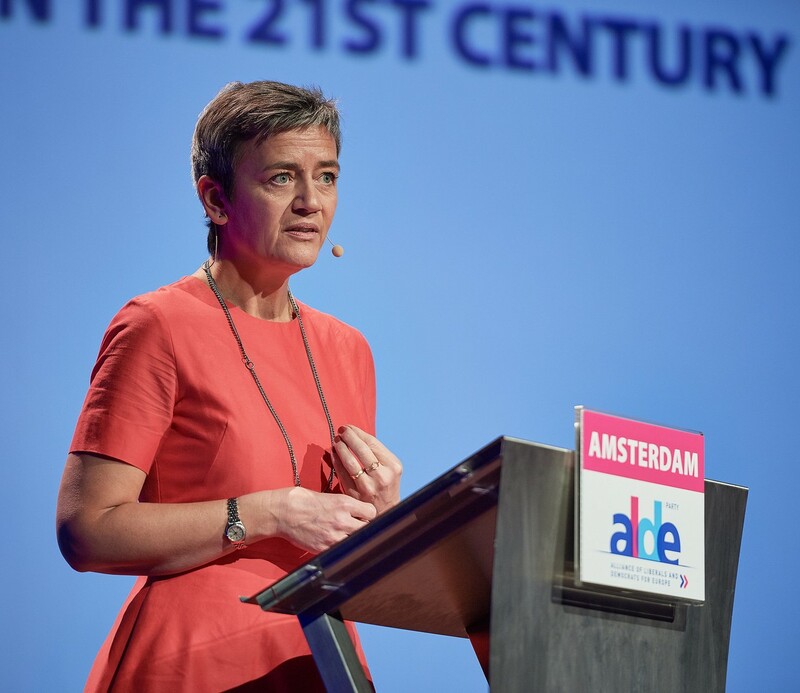 Some statements were given by the panel members Alexander Pechtold, Albert Rivera MP, Party leader Ciudadanos, Bart Somers, Alde-Cor-President and Margretha Vestager. “Renewal, Reinvigoration, Reform a Roadmap for a successful Europe to 2019 and beyond”. Nicola Beer, FDP, Germany, Christiaan Lindner MP Party Leader, FDP Germany. Gwendoyn Rutten said Europe is about the three P’s; Europe belongs to the People, it gives Prosperity with its free market and Europe has given Peace. Europe has too many laws, so more focus is needed, we share ideas, but the migration problems are cause for chaos. So, a more active policy and a one border policy are necessary. European defense policy must be set up. Migration means that our identity is influenced. But we should recognize that we don’t have one identity but consist of many identities. Europe also has diversity and so many identities. Values, on the other hand, must be taught at school as well as freedom of speech and religion. We must stick up for our values. Values are not negotiable. The core business of Europe is still: Safety and Jobs! And to invest in people and education. 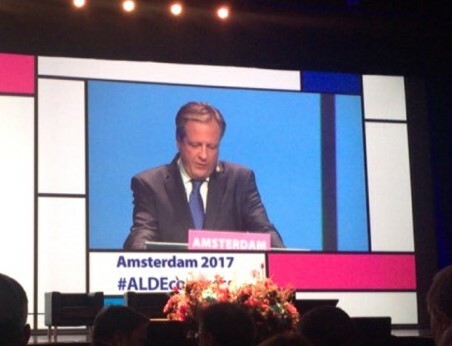 There were more than 1400 Liberals present from all over Europe at this very interesting ALDE congress. 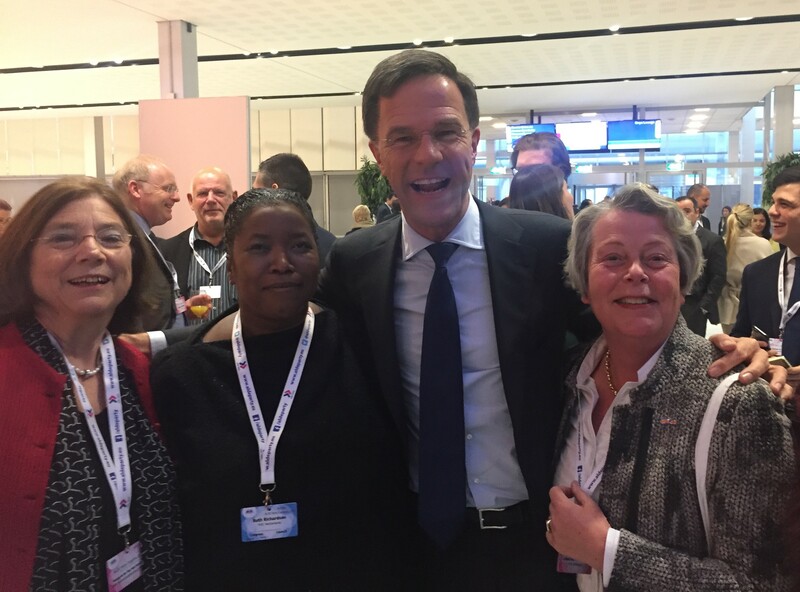 Also, several members of INLW including three members of the Board, Margaret de Vos van Steenwijk (President), Lysbeth van Valkenburg-Lely (Treasurer) and Ruth Richardson (Member). 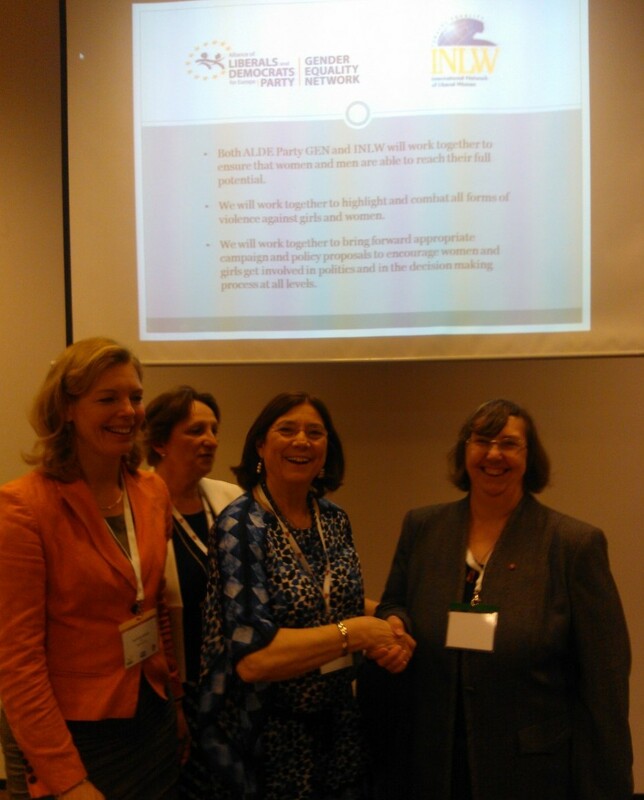 Ingrid de Caluwé and Marianne Kallen are pleased to see Margaret de Vos van Steenwijk President of INLW and Flo Clucas, President of ALDE GEN shake hands with each other on the occassion of the launching of the partnership between INLW and ALDE GEN. Behind them are stated goals for the partnership. In the last part of the Fringe Meeting INLW and ALDE GEN officially announced their decision to become partners. In working close together both organizations will be able to strengthen each other. Both ALDE Party GEN and INLW will work together to ensure that women and men are able to reach their full potential. We will work together to highlight and combat all forms of violence against girls and women. We will work together to bring forward appropriate campaign and policy proposals to encourage women and girls get involved in politics and in the decision making process at all levels.